Thank you to all our guests who take the time to write reviews about their Buckhorn Inn experience on TripAdvisor. Travel websites are trusted advisors for so many vacationers. Your first-hand experience helps them know exactly what to expect. slkratz1 wrote on May 21, 2018: “Great food, wonderful service. I had dinner two nights during my stay at Buckhorn. Great wine list as well as menu.” 5 stars. 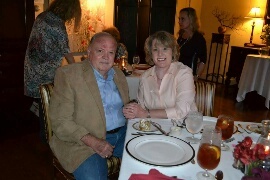 Renee B wrote on May 20, 2018: “This was the first time for my husband and I, staying at a B&B inn and it was incredible! From the beautiful views from our room, the Premier 1, to the incredible breakfast every morning. We also booked a dinner our first evening there and it was also fantastic! The staff made sure they waited on our every need and we could not have asked for anything more! We will be back!” 5 stars. Thank you for sharing your experience with other travelers. 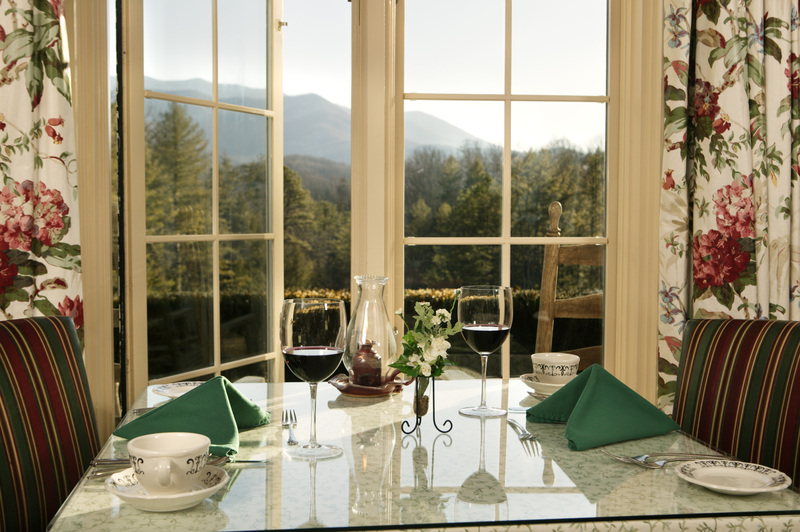 Thank you to all those who take the time to share their reviews of the Buckhorn Inn. We look forward to welcoming you back! Here are some reviews posted in the last month on Trip Advisor. 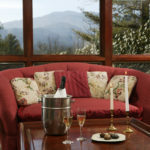 We have been several times to Buckhorn Inn to celebrate our wedding anniversary and usually rent Cottage #7. It has never been a disappointment! Last year we went somewhere else to celebrate so this was our first time back in two years. When we opened the door to Cottage #7, I said “Oh….we’re home”! That’s how it felt….like we were coming home. One of the highlights of the trip is the fantastic food that is served for breakfast and supper. It can’t be beat! And you leave stuffed! Definitely a place I would very highly recommend. The cottages are quaint and very private. We love turning on the fireplace and just soaking in the breathtaking view. It is nice to have the kitchenette for snacks, etc., but you must eat at the Inn. The food is excellent. So lovely – every year! Banana Foster’s French Toast for breakfast. It’s the first thing I think of when I hear the words “Buckhorn Inn.” I cannot praise the inn highly enough. 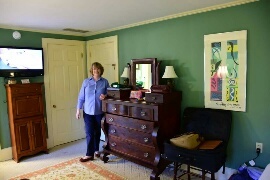 The inn is comfortable, warm, and inviting, as is the staff. My husband and I return annually for a weekend to unwind after the holidays. I have recommended this inn to countless family and friends, and they come home saying the same thing. The highest compliment? Many of my single girlfriends have stayed here – traveling alone – and they have felt safe, nurtured, and well taken care of – a high compliment in this crazy world. I cannot wait to come back. 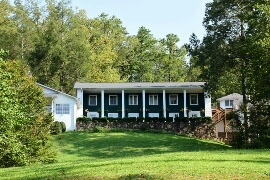 Sometimes you just need to get out of town and the Buckhorn Inn is the perfect place to escape to, if only for one night. 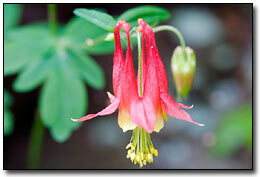 Debbie made reserving and checking in a delight, even arranging for a pitcher of our favorite spiced tea in our cabin. Of course, freshly baked treats and coffee were also waiting in the downstairs sitting room. A pleasant walk to the pond and back and quiet reading time left us ready for one of the best dinners we’ve ever enjoyed there. 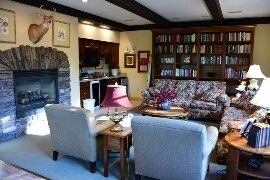 The cottages are our favorite accommodation when we visit, offering comfort and privacy. 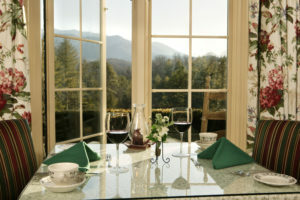 We enjoyed the usual great breakfast and wonderful mountain views from our morning table. Upon leaving, our only comment was “this was a great idea.” We hope you get the chance to visit this unique and charming establishment. Here on a package deal (2 nights in a cottage, includes 2 dinners and 2 breakfasts) and loving it. Our cabin has a great Mountain View, a fireplace, and a jacuzzi tub. Cozy, comfortable and spotlessly clean. Mini kitchen means we can pack a lunch for adventures out, and there is a screen porch that is lovely if it wasn’t too cold to use it! Food has been absolutely delicious, and staff is great. We have already booked our August visit! James and Cheryl Nipper made their first visit to the Buckhorn this year. Buckhorn Inn visitors from Jacksonville, FL and were so warm and friendly. 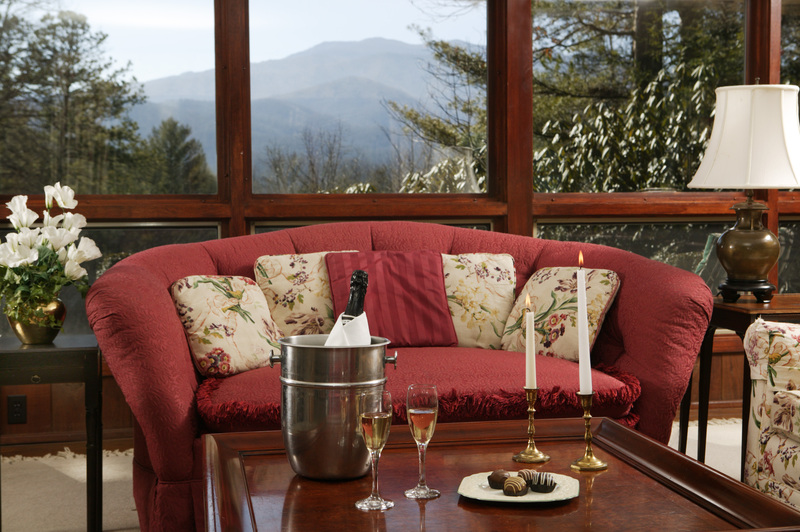 The Nippers especially enjoyed the view of Mount LeConte from their room, and pointed out that it is the highest point in the Smoky Mountains that is fully situated in Tennessee. 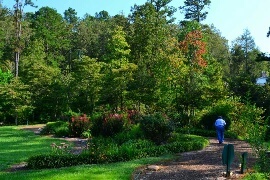 They walked the Buckhorn Inn Nature Trail and took some great photos of the pond. James says the scene reminds him of the movie “On Golden Pond”. He was kind enough to give us permission to share some of the great photos they took at the Buckhorn Inn. We are sharing them with no filters or special effects–we think they are gorgeous “as is”! We look forward to the Nippers’ next visit and in the meantime, please enjoy their photos. 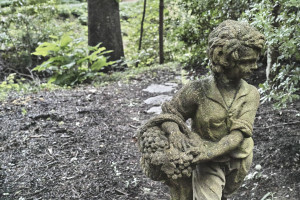 The Buckhorn Inn gardens are a lovely place to stroll. We think the back of the Inn looks very majestic. The library makes a cozy retreat. We love seeing and sharing photos taken by our guests. Please send them by email to [email protected] along with a few descriptive comments. If you are on Instagram, please tag @innbuckhorn. Seeing the property through the eyes of our guests often gives us a brand new appreciation and perspective! Our traditional rooms are very charming.